I have a BEAUTIFUL Hensoldt Z-24 scope up for grabs including the case, claw mount, and tool kit. Trending at $440.56eBay determines this price through a machine learned model of the product's sale prices within the last 90 days. We don't know how well tripod mount works nor what size you will need-- appears complete, but this part of binoculars is sold as-is since we don't have a tripod to test it with. LOCAL PICKUP. VINTAGE/ANTIQUE LE MAIRE PARIS OPERA GLASSES GORGEOUS COLOR!. Condition is Used. These are worth a lot of money! I have no use for them however. Feel free to ask any questions. Verified authentic! Shipped with USPS First Class Package. Please ask all questions prior to bidding as I do not accept returns. Check out my 100% positive feedback and bid w confidence. The Elltoe 20-60x80mm angled spotting scope is a good choice for the value conscious outdoor enthusiasts and bird watchers. Also brings great color and clarity to every scene with comfortable full field view, even if you wear eyeglasses. We designed the STYRKA S5 Series binoculars to provide you, the hunter, with an exceptional optical experience. High-contrast images, amazing clarity and resolution, and enhanced light transmission is what you get with an S5 binocular. New ListingVintage Mossberg Model A Folding Stand Spotting Scope In Box! Vintage Mossberg Model A Folding Stand For spotting scopes. Very nice piece in good working or in original box. This is a qualitly piece and adjusts nicely and folds up into the box. Not sure on exact age but by the look of the box it’s old! 30X / 75X Microscope. 8X Monocular. Simmons #1265 Omni Scope. This is a set of PVS-5 night vision goggle with mask, head band and facepad. Both tubes are working condition as you seen on the photos. IR light is also working.Both tubes are lighting good condition. Unit is original Aselsan Turkey made. It is still working condition. Battery cover close prompt. There is 3X zoom lens on the unit. Lens is good and clean condition. Rear side lenses are clean and covers on there too. Zoom 25-75X70 Angled Spotting Scope Astronomical Telescope Waterproof W/ Tripod Specifications: Name:25-75X70 Zoom Monocular Spotting Scope BAK4 Waterproof With Tripod&Phone Adapter Color: Black Green Material: Rubber Glass Model: 25-75x70 Magnification: 25-75X (Adjustable) Diameter of objective lens: 7cm/2.7" Prism: Porro Prism material: BAK4 Diopter: -4D~4D Coating: Multi-layer Features: Waterproof;Anti-fog;Shockproof Size: -Phone holder:15cm x 8.8cm x 5cm/5.9"x3.5" x2" -Monocular: 35cm x 9.3cm x 13.5cm/13.8"x3.7"x5.3" -Tripod height: 29.5cm/11.6" Package Included: 1x Monocular 1x Bracket Connector 1x Clean Cloth 1x User Manual 1x Pouch 1x Strap. This item while used functions perfectly. You are looking at a ATN Night Storm Night Vision Scope. This Item while used functions perfectly. 4K Ultra HD technology, combined with ATN's cutting edge Dual Core Processor, gives you unsurpassed image quality with richer and more vivid color tones, providing you with a visual experience like no other. This nautical solid brass Victorian Binoculars measures length 7" x width 7" x height 11.5". The binocular is made of solid brass. The finish is nickel & wood (finish and minor blemishes may be varied). The included tripod is made of solid wood with solid brass, nickel finished hardware. The tripod can be folded up into itself and there is a locking knob to keep the binocular from turning. This is a decorative but working binocular, focus by adjusting the center focusing knob. This solid brass Victorian era binocular is sure to become a conversational addition to your nautical marine decor or office. Material: Solid brass, Finish: Nickel & wood, Size: 7" L x 7" W x 11.5" H, Weight: 1.65 lbs, Max. Magnification: Less than 8x, Includes a wooden tripod. The large objective lenses of these Barska Benchmark DFS 25-125x88 Spotting Scopes are perfect for dim viewing situations. Barska 25-125x88mm Benchmark DFS Waterproof Spotting Scope. 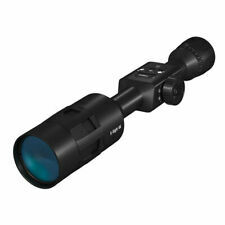 These Barska Benchmark 25-125x88 Spotting Scopes set the standards like none others! ADM upgrade Super Set for CGEM, including Saddle. Condition is Used. Shipped with USPS Priority Mail free. This has everything, altitude, azimuth, clutch knobs including the brass from the cgem and brass pads. I taped them so nothing is lost. The saddle includes all fasteners from the cgem. Minor cosmetic blemishes. All function is perfect. No fasteners are bent or stripped, or missing. Coated with grease. The button pops off, but I found with a little 2 part epoxy it stays in place perfect. Really nice set. Get the most out of your cgem. 1 x 1.25" Helical Focuser. Fits standard Celestron, Sky watcher, Vixen & GSO type saddles. Double Helix focus Stroke: 10mm. 190mm focal length. Very small and compact auto guiding system adds hardly any weight to an astrophotography setup and can conveniently be stashed in an accessory case between uses. This is one cool scope, comrades! This cookie is mint! TheNikon 20-60x82mm Prostaff 5 Straight Body Fieldscope with Eyepiece Spotting Scope has an82mm Objective Lens that features an ideal balance of size and brightness. It has an ergonomic, lightweight porro prism design. Land, Sea and Theater. Extended, the binoculars are. Nikon 20-60x82mm Prostaff 5 Straight Body Fieldscope Spotting Scope with Eyepiece with Tripod Monopod Kit. TheNikon 20-60x82mm Prostaff 5 Straight Body Fieldscope with Eyepiece Spotting Scope has an82mm Objective Lens that features an ideal balance of size and brightness. 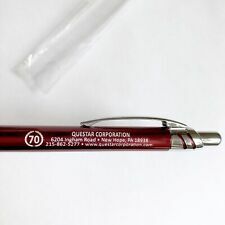 Model #66090. Leupold VX-3 3.5-10x40mm Matte Riflescope, Duplex Reticle. Leupold VX-3 3.5-10x40mm Matte Riflescope Product Info. NEW LEUPOLD VX-3 3.5-10X40MM duplex reticle ! To use a riflescope with your firearm, you'll need a mounting base and mounting rings in addition to the scope itself. Trending at $381.00eBay determines this price through a machine learned model of the product's sale prices within the last 90 days. CCD: Sony ICX618ALA. Max Exposure Length: Infinity. Min Exposure Length: 1/10000. Data Format: BMP, AVI, RAW, FITS, SER. Computer Interface: USB 2.0. Lightweight and compact design. Binning Options: Yes. 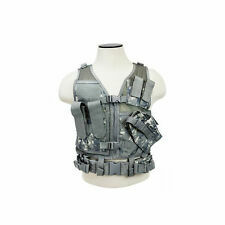 These are made to be utilized for most outdoor quests. You asked and ATN listened. Obsidian 4 not only Streams Video at HD resolution but can simultaneously record to the SD card inside. ATN's new Dual Core Processor not only runs fast but runs cool. The King, good for 1000 yds, verified. Look at the pictures for the specifications of each. Both are pre-owned! Nippon Kogaku. Made in Tokyo. Due to the great light-gathering ability of the 80mm objective, thescope performs superbly in low light. The 45 degree eyepiece is especially useful for viewing astronomical objects or anything at a steep upward angle. 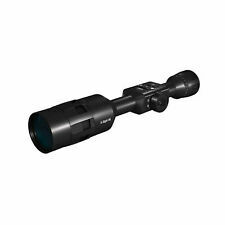 ATN X-Sight-4k Pro 5-20x Buckhunter Rifle Scope DGWSXS5204KB. The ATN X-Sight 4K Buckhunter 5-20x Ultra HD Riflescope is an incredibly powerful and versatile scope for even the most demanding user. The ATN X-Sight 4K Pro 5-20x Smart Riflescope feature a super sensitive 4K ultra HD sensor with a dual core processor for the power to simultaneously record and stream video. ATN X-Sight-4k Pro 3-14x Buckhunter Rifle Scope DGWSXS3144KB. These Riflescopes by ATN feature a super sensitive 4K ultra HD sensor and a dual core processor for the power to record and stream video simultaneously. Can be used as a hand-held monocular in combination with finger ring (Order No. 16711). - High level of light transmission and image brightness. Roof prism system with multicoating. - Supplied with: carrying cord, case. 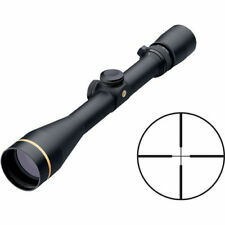 Product description： This 25-75X 70MM spotting scope with tripod and bag. 1.A 70mm large Multi-Coated BAK4 lens show you a high light transmittance,clear ,bright and no color difference image. The 25-75X zoom lens makes you easier to aim at the target. 2.Light material and matched bag makes you easy to go anywhere with this spotting scope. 3.The eye cup so long that block a lot of interfering light, building a great observation environment. 4.Anti-skid material rubber gives you a frosted feeling. 5.The aluminum tripod which can be easily to installed so that you can as quick as possible to enjoy a stable image. Product specification： 1.Magnification: 25-75X 2.Objective lens: 70mm 3.Field of wiew: 64-43FT 4.Objective lens diameter:70mm 5.Tripod：Aluminum tripod. Blackening the frosted sides of all four small, odd shaped prisms, and regreasing the oculars. Views are now better than when factory new. Bin looks hardly used! This set uses a smallish 7x35 chassis mated to 50mm objective bells making it unusually slim and very light. Here we have beautiful Victorian mother of pearl opera glasses in great shape. They have Le Marie Paris F1 around the eye rim pieces. It has the original case but it is falling apart as seen in the pics. Optional cooling fans will reduce the temperature of the CCD by 36°F/20C, resulting in considerably more clarity for both live imaging and recorded stills and video. CCD Sony Super HAD ICX098BL-E 1/4". A/D Converter: 8/12 bits. Sensor Size: 1/3". Adapter from C-mount to 1.25 ". Built-in IR filter. Compliant with Microsoft Directshow. Data Format: BMP, AVI, RAW, FITS, SER. Interface: USB 2.0. Binning Options: Yes. With a 95mm objective and magnification up to 70x you`ll experience views of previously unknown quality. This scope even pushes optical tests to their limits. Despite the 95-mm objective lens, this is a slim spotting scope weighing in at just 75 oz (2 kilograms). This is in great shape and so is the box. CCD: Sony ICX618ALA. Max exposure length: Infinity. Min exposure length: 1/10000. Data Format: BMP, AVI, RAW, FITS, SER. Computer Interface: USB2.0. Lightweight and compact design. Binning options: Yes.